This is for anyone who still uses '1234.' Pull it together. Guys, it’s 2017. It’s time you know: You shouldn’t be using "password" as your password. It’s like you’re asking to get hacked. If people can steal your personal information using your selfie, you better believe that something like "00000" is not the ideal choice for a password. Cybersecurity company Keeper Security just released a new report that includes a list of common passwords you should freaking avoid if you don’t like digital breaches. They analyzed over 10 million passwords, so we’re gonna go ahead and believe these guys. 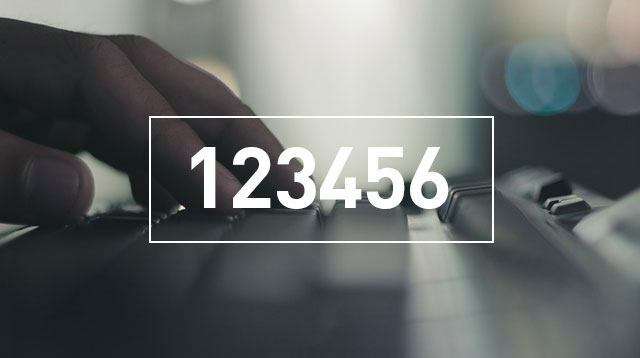 Taking the top spot for the most uncreative and unsafe password is the timeless "123456"; Next, we have "123456789." "111111" also made the cut. Can you see where we're going with this? None of these passwords require much mental-flexing. CEO Darren Guccione urges, "When creating an online password, make sure it is at least eight characters in length with a mixture of upper and lower case letters, numbers and symbols." He also recommends avoiding any word from the dictionary. You’ve been warned. To view the complete list, click here.